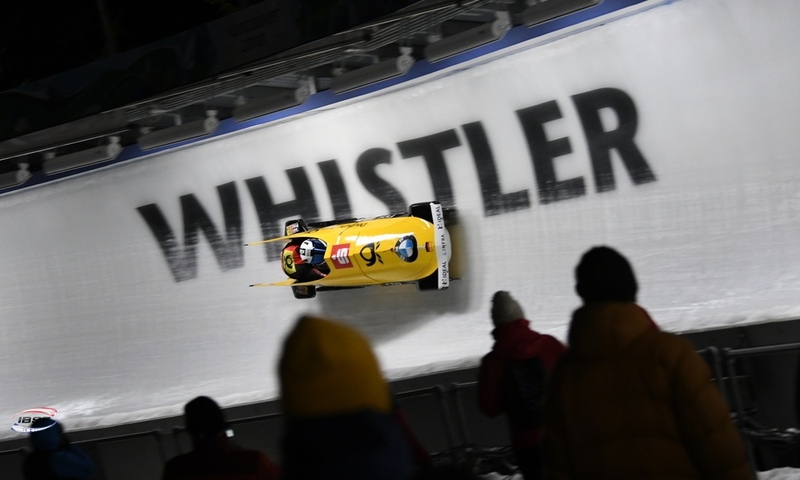 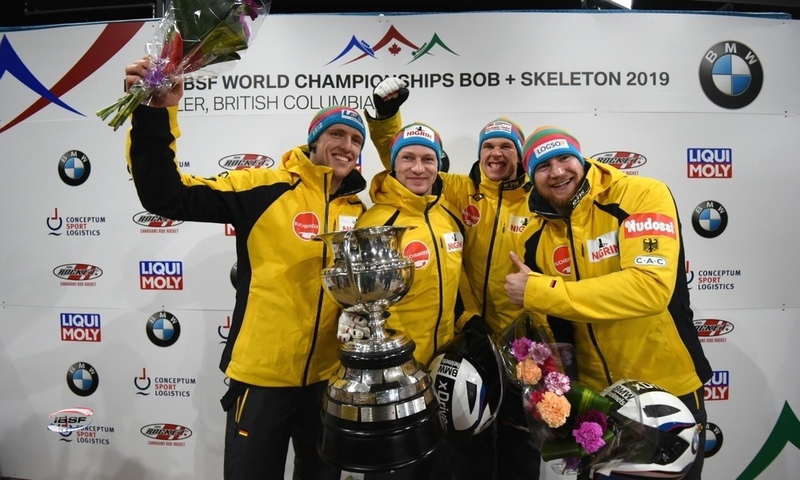 Innsbruck (RWH) 2-man bobsleigh Olympic Champion Francesco Friedrich remains the benchmark in the small sleigh: The German pilot has secured first place in every one of his races over the last year, including at the Winter Olympics in PyeongChang. 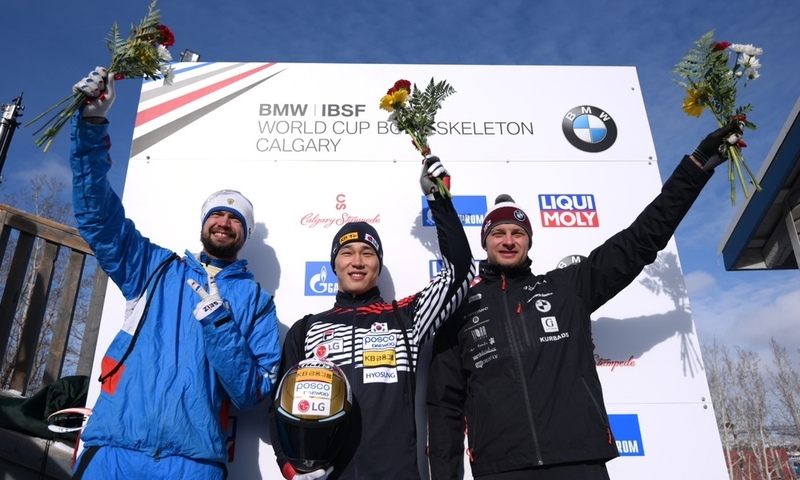 And now, he celebrates his current success in the series: The fifth win at the fifth BMW IBSF World Cup in the 2018/2019 winter season. 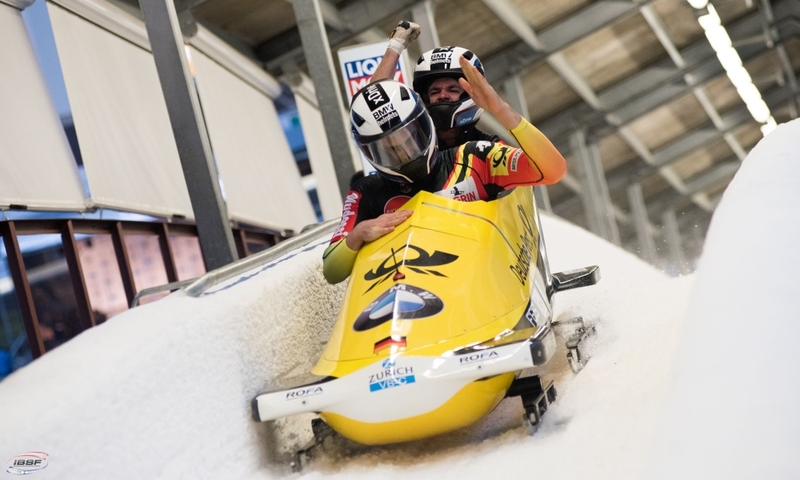 With his Olympic pusher, Thorsten Margis, by his side, Friedrich achieved a 0.15 second lead over teammates Johannes Lochner and Florian Bauer (GER) on the track in Innsbruck (AUT). 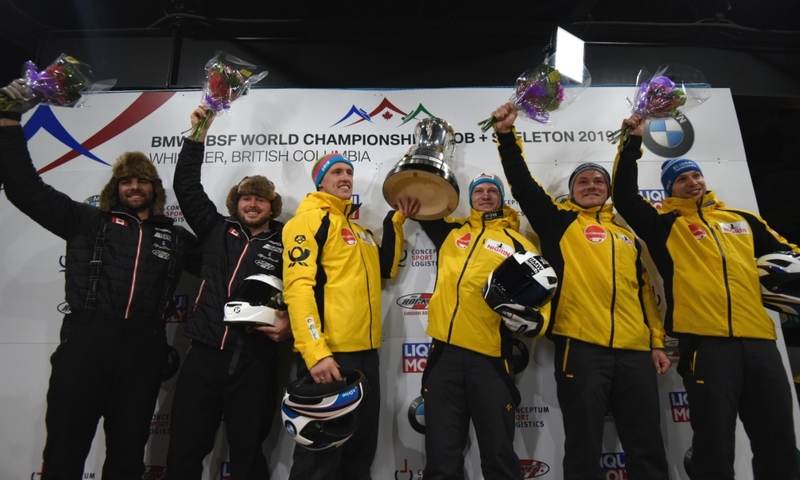 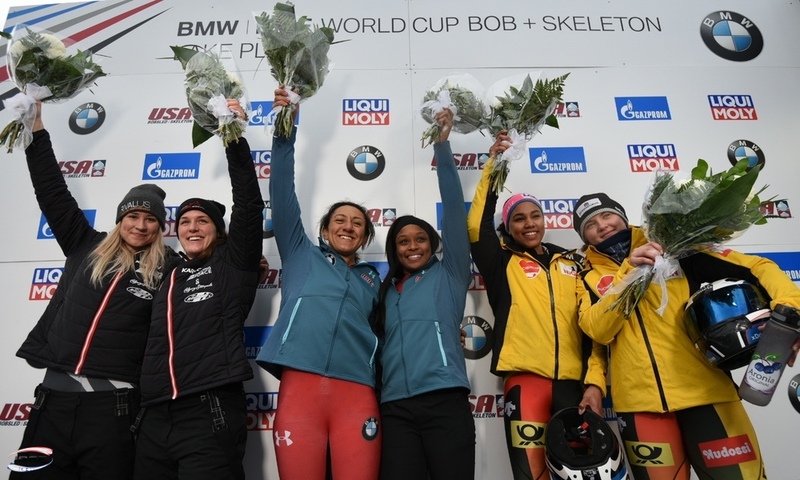 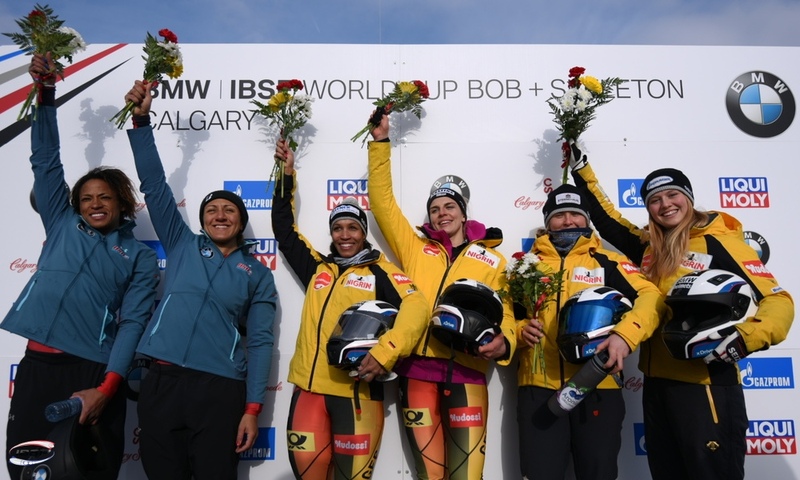 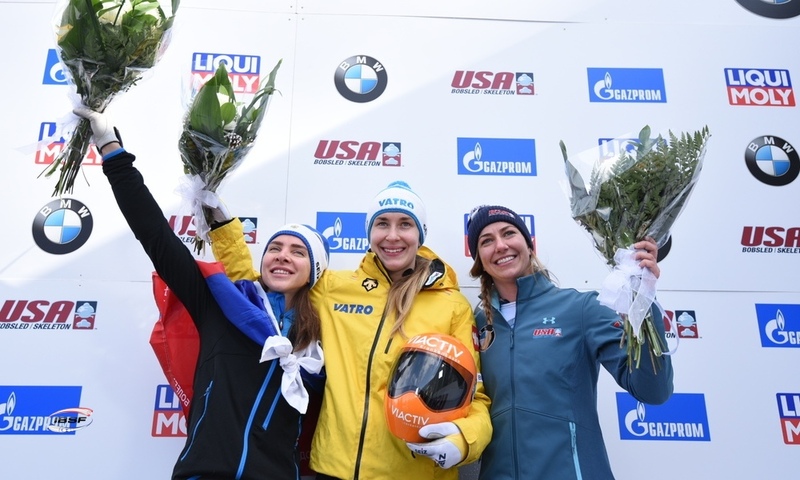 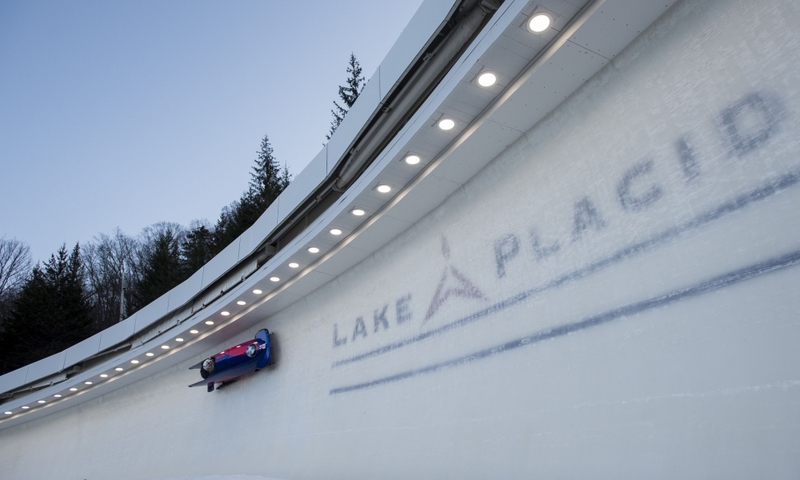 The result signalled a second time on the podium this winter in 2-man bobsleigh for European Championship runner-up Lochner. 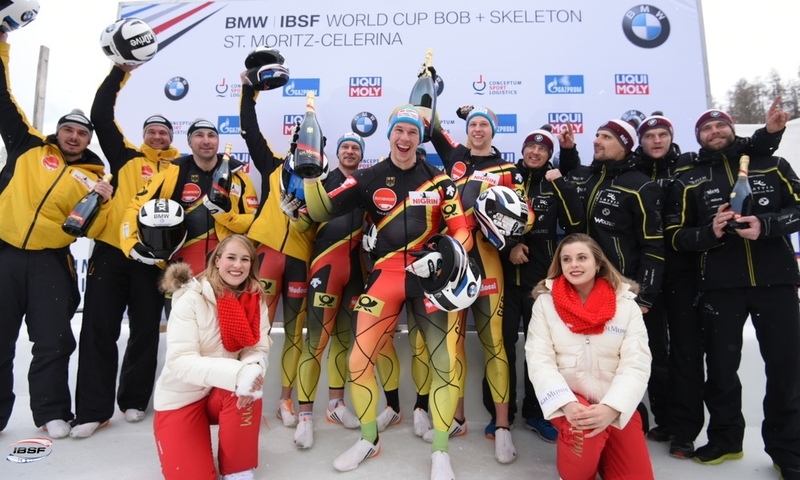 Third place in Innsbruck went to Oskars Kibermanis and Matiss Miknis (0.34 seconds behind), giving the Latvian duo their fourth podium position out of the five World Cup races. 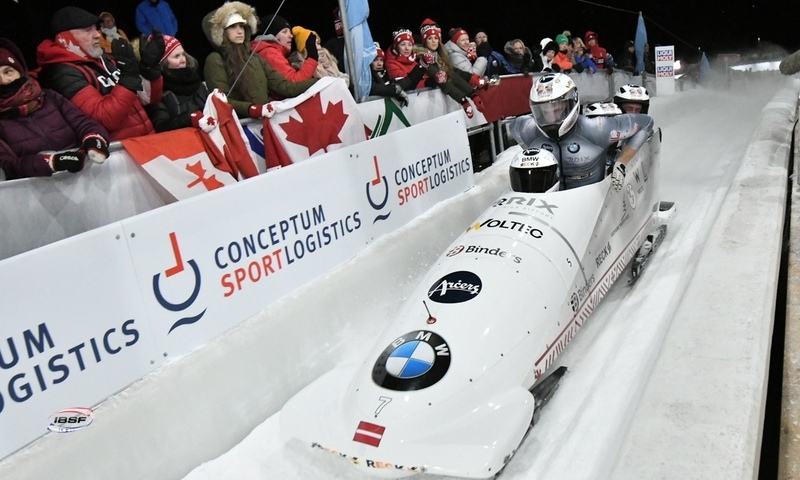 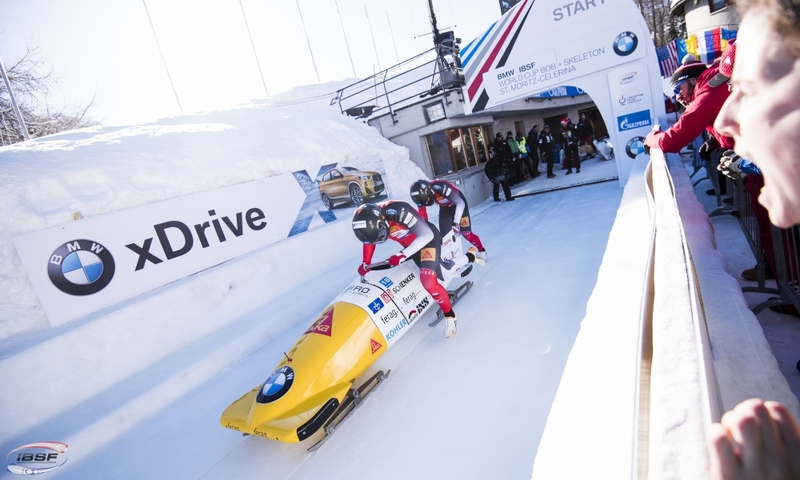 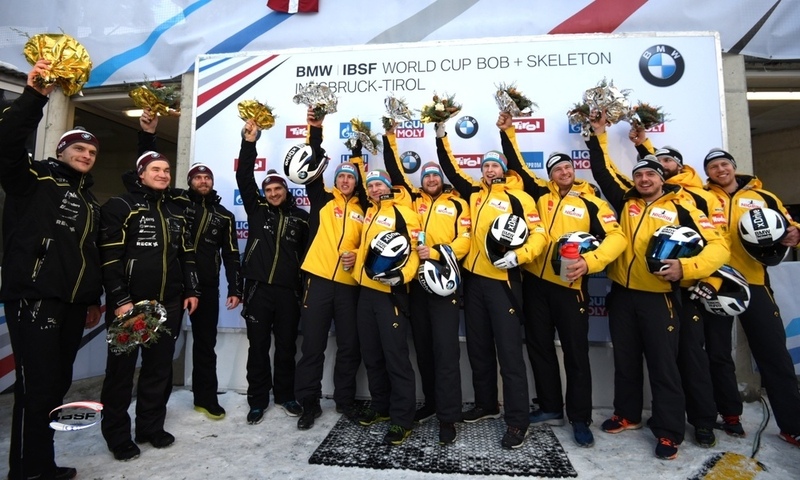 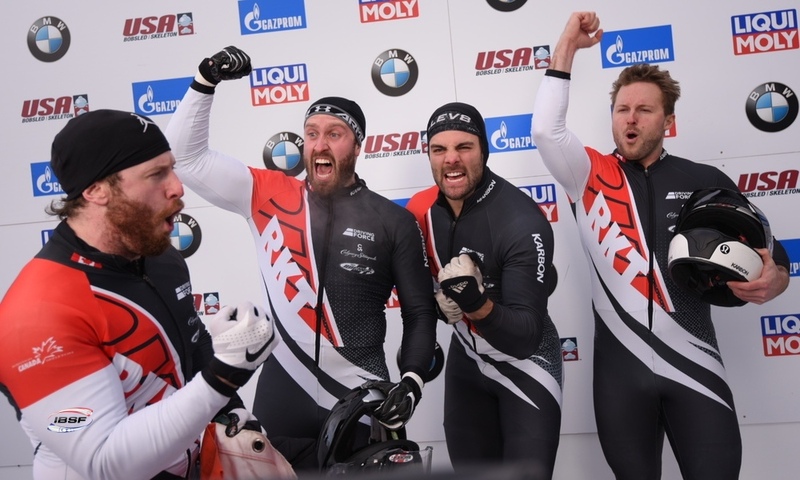 Taking to the track in Innsbruck in Benjamin Maier's (AUT) sleigh, whose injury kept him from competing, Brad Hall and Nick Gleeson (GBR) celebrated their best World Cup result to date in 2-man bob, taking eighth place. 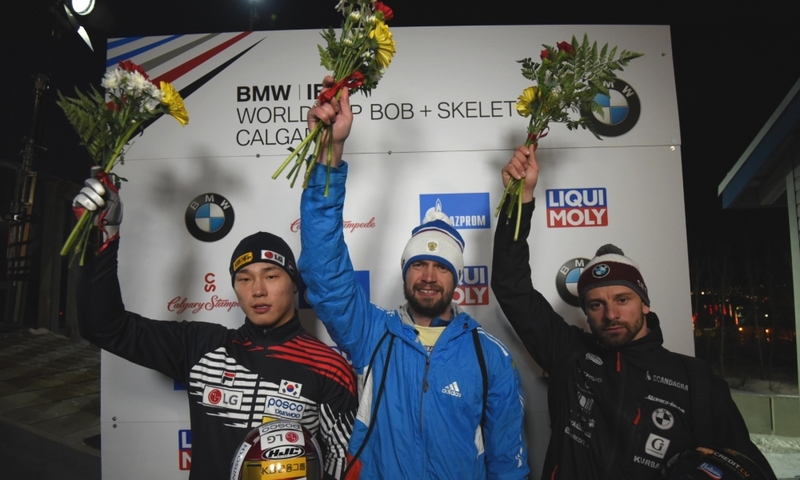 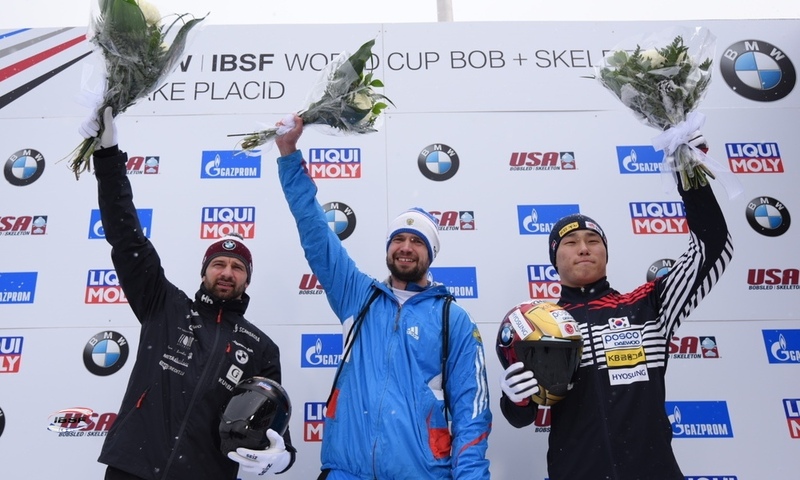 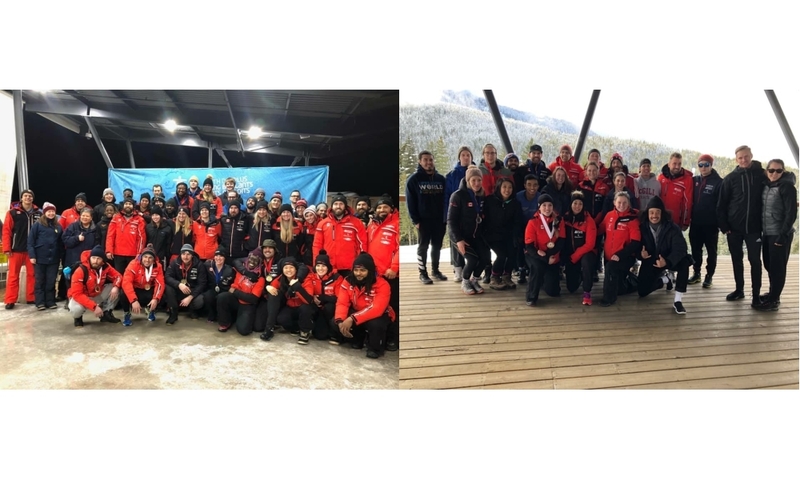 World Cup title defender and Olympic Champion Justin Kripps from Canada missed out on the World Cup podium for the first time this season and placed fourth. 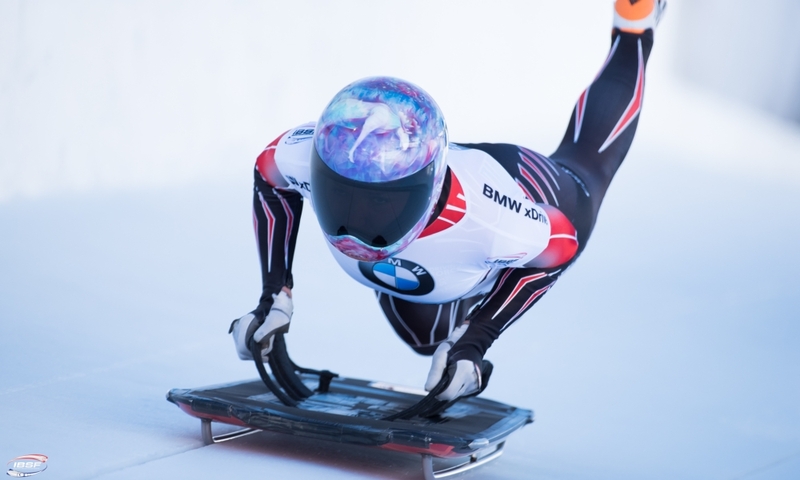 Olympic Champion and World Champion Francesco Friedrich (GER) remains at the top of the overall rankings for the BMW IBSF World Cup 2018/2019 with a perfect score of 1125. 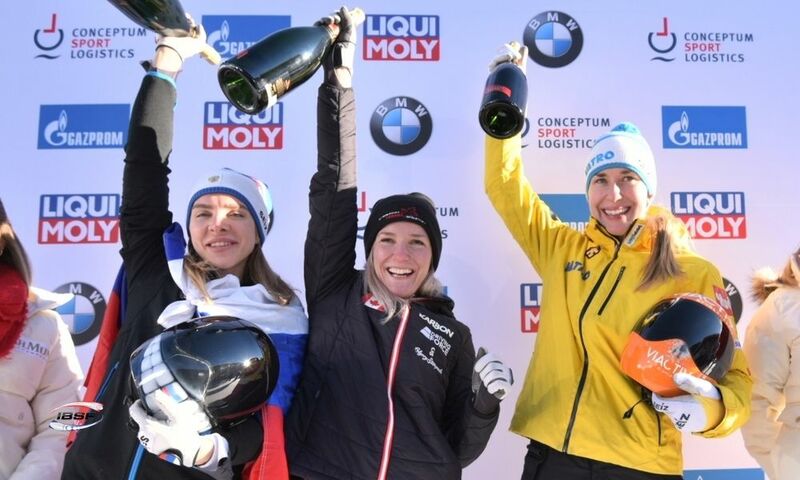 After five out of eight races, Oskars Kibermanis (LAT, 1004) is in second place overall ahead of Maxim Andrianov (RUS, 792). 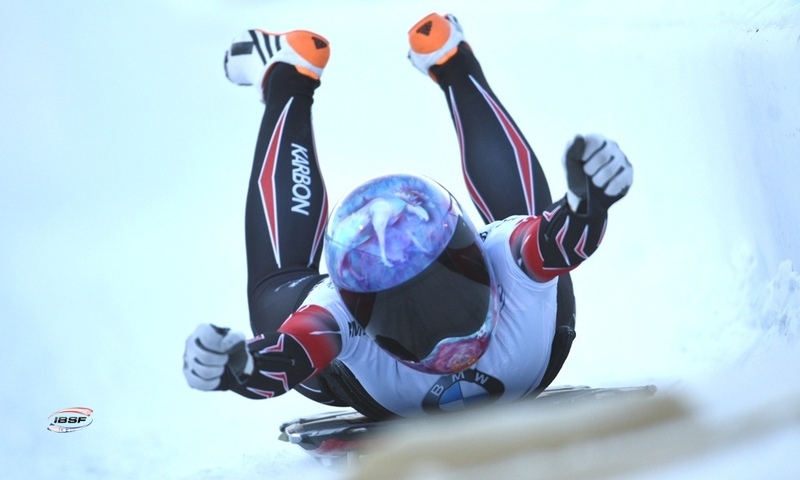 The Russian came in 17th in Innsbruck.